With Grout Medic, you get more than a bucket and a brush - you get certified professionals. 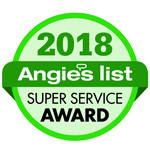 As the cleaning and restoration "Expert of Choice" of leading tile and grout manufacturers across the country, we take great pride in maintaining and oftentimes surpassing the highest standards in the industry. Our professional service and Advanced Steam Vapor Technology affords results that are far superior to what you can expect from a "mom and pop" provider. Best of all, our procedures will not damage grout joints or loose tile, are environmentally friendly, safe for babies, family members and pets. Unlike carpet cleaners, who use potentially damaging procedures, Grout Medic technicians employ low pressure - high temperature vapor technology that gently eases away dirt and discoloration and leaves your tile and grout looking like new. Our professional (certified) technicians are trained to provide the most advanced restoration services available coupled with a superior level of in-home customer service. As a national brand with the industry's only dedicated training program, you can be assured that when you see the Grout Medic uniform you are receiving service from a highly qualified tile and grout expert. Customers across the country have come to regard Grout Medic as simply the most professional and most advanced after-care resource for grout and tile. Due to the fact the methods employed by The Grout Medic uses nothing more harmful than steam, the entire process is naturally green. 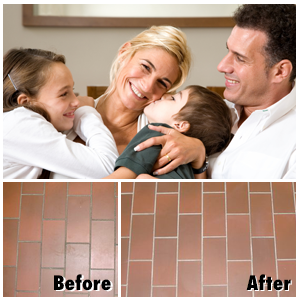 Certain grout-cleaning companies use potent, potentially harmful chemicals in their processes. Steam cleaning has proven just as effective at removing bacteria and stains, but without the chemical residue and fumes. Acidic Cleansers Often made of phosphoric or sulfamic acids, acidic grout cleaners can create noxious fumes while in use, and erode the grout they are used on, reducing its lifespan. Alkaline Cleansers Alkaline cleaners, often bleach-based, should only be used in a well-ventilated area with respiration equipment, as the fumes can be overwhelming. Steam Cleaning The steam cleaning process used by the Grout Medic leaves no residue other than water, and is able to fully sanitize and clean grout lines with no exhaust or fumes.